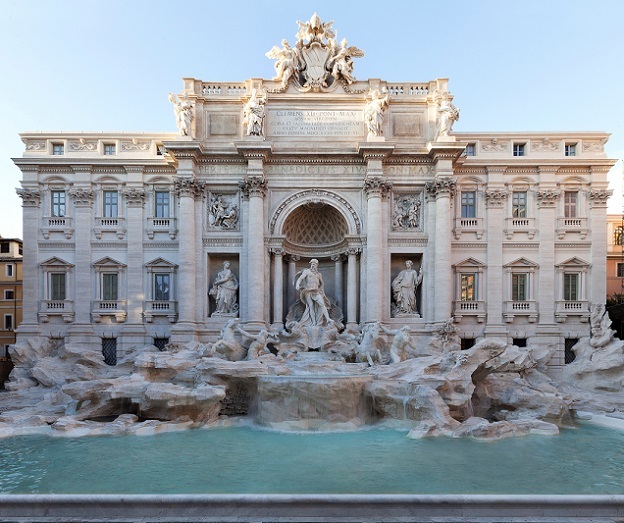 After only 17 months since the beginning of the restoration works, and earlier than the scheduled date for the end of 2015, the water of the Trevi Fountain starts flowing back again thanks to the majestic restoration project financed by FENDI. During the restoration, the panoramic boardwalk conceived and realized by the Sovrintendenza Capitolina, made of transparent panels and directly accessible from the square, has enabled the visitors to admire the Trevi Fountain from a unique perspective, to physically step into a world-class artistic masterpiece and get closer to it than ever before. The renovation project, playing with creativity, has given life to one of the most innovative work-sites ever conceived before for this kind of operation, without interrupting the fruition of one of Rome’s most beautiful and visited monument. “Giving back the Trevi Fountain in all its original splendor to the city of Rome, to the Romans and to the entire world is, once again, a valid example of the importance of a strong private-public synergy,” declared the Superintendent of Cultural Heritage for Rome, Claudio Parisi Presicce. “Such an important restoration couldn’t have been supported by the public administration without the significant contribution of FENDI, establishing a mutual, effective and original collaboration. A valuable partnership concludes Presicce that will be further consolidated and developed in 2016 with new and exciting initiatives”. On January 2013, FENDI announced the restoration of the Trevi Fountain in Rome under its patronage. This philanthropic act has started an ambitious project for the preservation of cultural heritage of the city of Rome: Fendi for Fountains. 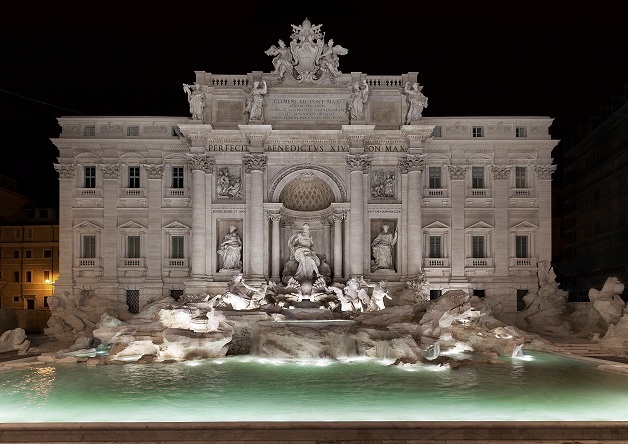 In addition to the Trevi Fountain, the project also included the restoration of the complex of the “Four Fountains”. For the year 2016, the Roman Maison confirms its commitment to the patronage for the City of Rome and its fountains, thanks to the Fendi For Fountains project, that will sustain the restoration and/or preservation of the Gianicolo, Mosè del Ninfeo del Pincio and del Peschiera Fountains. “We are proud of this private-public cooperation and of giving back the Trevi Fountain to our city, Rome, and to the tourists of the world, after the Complex of the Four Fountains, in record time and in all its splendour. FENDI is Rome, and Rome is FENDI, and this is why in 2016 we will keep sustaining our city with the Fendi For Fountains project, in support of other four fountains,” states Pietro Beccari, Chairman and CEO of FENDI. The restoration works were carried out by ATI “Trevintre”, composed by Cooperativa CBC, coordinator, and by Società ARA s.n.c. and Tecnicon S.r.l. The revision and management operations of the water system were carried out by ACEA ATO2. The new artistic illumination system was created by ACEA Illuminazione Pubblica S.p.A.. The revision and compliance measures of the electrostatic system for bird control were carried out by Galliani S.r.l. The new video surveillance system was realized by DAB.